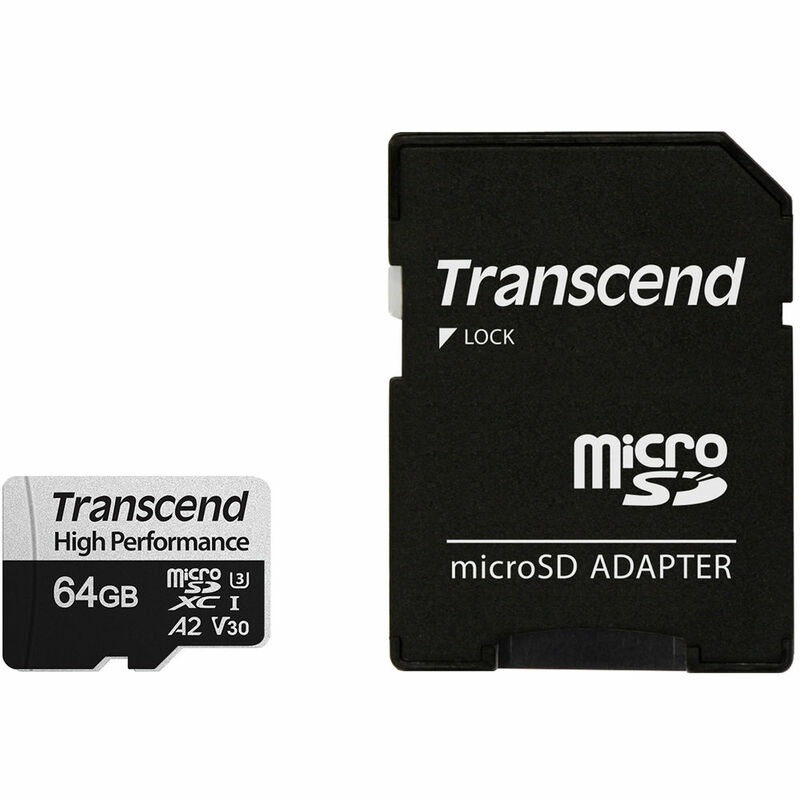 Upgrade the storage and performance of your mobile device or handheld gaming console using the 64GB 330S UHS-I microSDXC Memory Card from Transcend. This memory card has a capacity of 64GB, supports the UHS-I bus, and features a speed class rating of V30, which guarantees minimum write speeds of 30 MB/s. If your device does not support the V30 standard, this card also supports the U3 standard, which likewise guarantees minimum write speeds of 30 MB/s. Read speeds are supported up to 100 MB/s and write speeds max out at 85 MB/s, also making this card suitable for Full HD, 3D, and 4K video, plus raw and JPEG still photos and bursts. While this card has been designed for devices that are UHS-I / V30 / U3 compatible, it may be used in devices that do not support UHS-I / V30 / U3. However, bear in mind that this card will then default to your device's speed class and bus rating, such as UHS-I and U1, which support minimum write speeds of 10 MB/s. Aside from support for UHS-I, V30, and U3, Transcend also built this card with support for the Application Performance Class 2 (A2) spec, which includes optimizations to give Android users an improved mobile experience, delivering faster mobile app performance. The A2 spec allows the card to manage random read input-output access per second (IOPS) operations so it can quickly open apps and process accompanying tasks, such as audio, graphics, saved profiles, and in-app permissions. As with most Transcend cards, this memory card is shockproof, X-ray proof, and waterproof, while also being able to withstand static, plus temperatures from -13 to 185°F, allowing you to take this card with you into extreme environments. 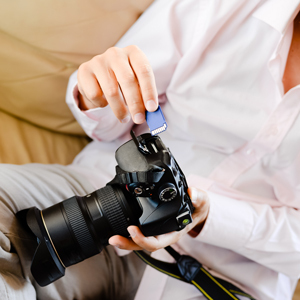 Should the card's data become compromised, you also benefit from Transcend's free RecoveRx software for to help recover deleted content, including photos, documents, music, and videos. So that this card may be used in SD-compatible devices, a microSD to SD adapter is included. Please make sure that your device supports the SD 6.0 specification or later for improved A2 performance. Also, card speeds may vary due to host hardware, software, usage, and storage capacity. Mobile games and handheld game consoles are getting more popular. Both applications require solid random read/write performance and storage expansion. Compliant with the A2 specification, Transcend's microSDXC 330S card is a good fit for mobile apps and handheld game consoles. The Application Performance Class was introduced to fulfill the growing need for a better combination of random and sequential performance on mobile devices. Transcend's microSDXC 330S card meets the A2 standard, delivering minimum random reads of 4000 IOPS, random writes of 2000 IOPS, and sustained sequential speeds of at least 10 MB/s. Transcend's microSDXC 330S memory card meets both the UHS Speed Class 3 (U3) and the UHS Video Speed Class 30 (V30) standards for 4K Ultra HD video recordings, with read/write speeds of up to 100 MB/s and 85 MB/s, respectively. In addition to excellent random read/write performance, this card has an overall storage capacity of 64GB, allowing you to keep more digital files and apps at hand. To deliver improved performance and stability, Transcend tested this card to withstand extreme conditions. It is temperature resistant, waterproof, shock proof, X-ray proof, and static proof. Transcend offers their RecoveRx software, a free data recovery utility that allows you to search deep within a storage device for traces of erased files, including digital photos, documents, music, and videos.